If this is not the easiest DIY, I don't know what is. 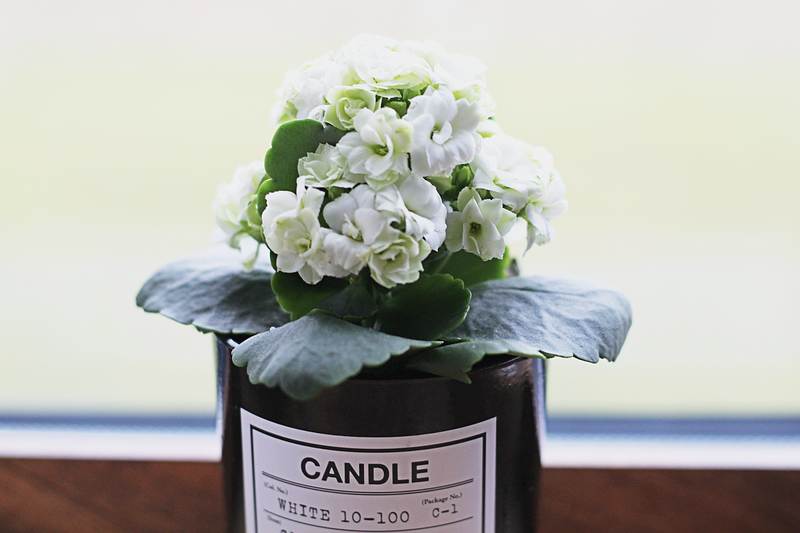 :) Today I wanted to share with you a little something I did with my candle pot recently. Since my obsession with candles is a real thing and throwing them out after they burn out is just as hard as lighting one up, I decided to reuse them and make the best out of the situation. As I said, this is a super simple thing to do - when your candle burns out, wait for the wax to harden again and clean it out of the pot. I used a simple kitchen knife for this, but I think most of tools could work. 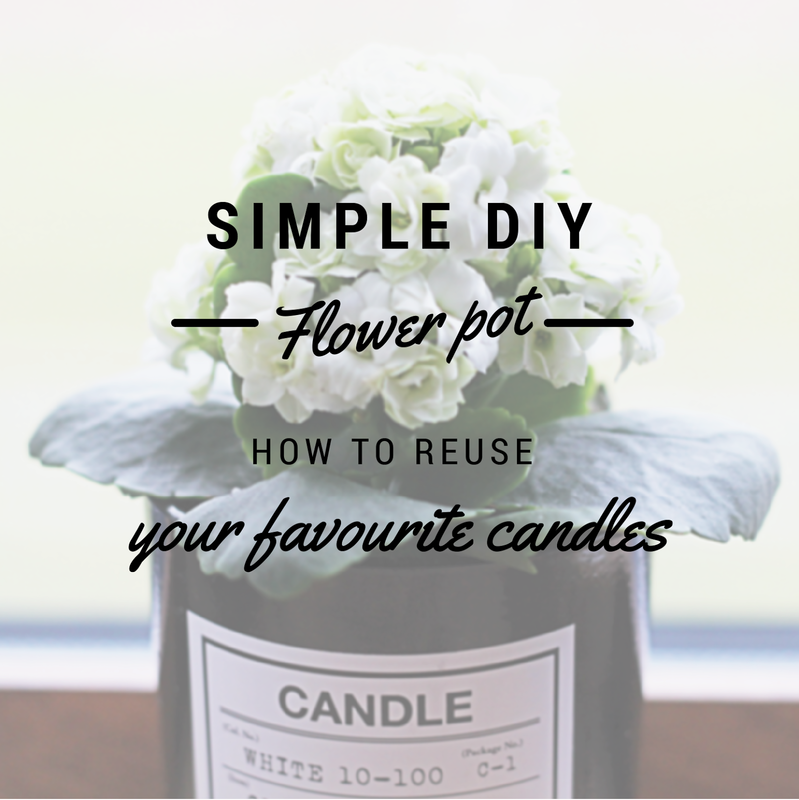 When the pot is clean, wash it and get a flower pot that is small enough to fit in the candle cup. 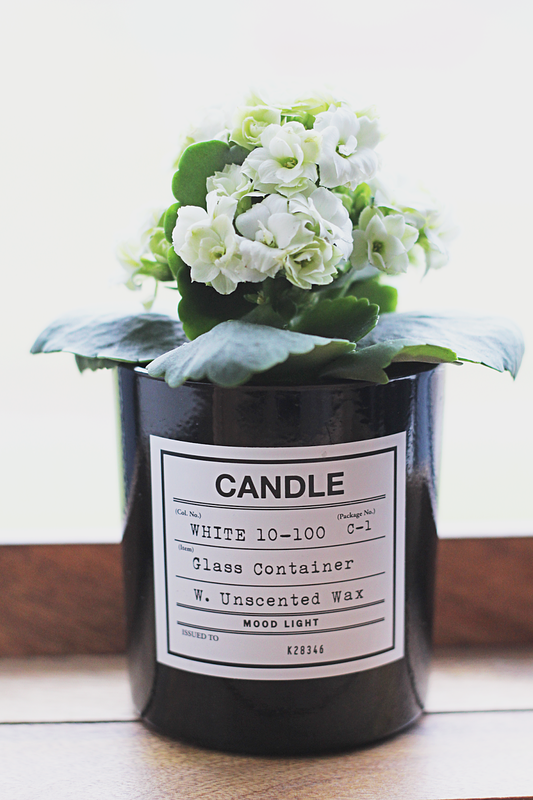 I suggest you stay within the theme, for example, I chose white flowers since the sticker on my candle is white and the writings on it more or less match my flowers. Try to experiment and go creative. You could even tie a nice bow around it or stick some stickers, glitter or literally anything on it. Add some red to it and a Valentines day decoration is ready!